Welcome to the blog tour for One Word – book 3 of my Hidden Places series. Dreamspinner Press also have the ebooks for Cat’s Quill (book1), and Magic’s Muse (book 2) on sale for 75% off on 6th November as part of their daily deals newsletter. Check out the blogs on the tour! I’ll be posting updates as I visit each blog, and also updating my Blogging Page as the tour progresses. I have a Rafflecopter running as part of this tour so be sure to enter. The prize is a $10 voucher for Dreamspinner Press. 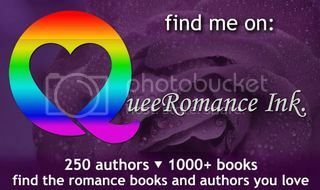 This entry was posted in blog tour, dreamspinner press, gay book promotions, Hidden Places, love bytes reviews, the novel approach. Bookmark the permalink.